Sprint's version of the Samsung Galaxy S III carries forward most of the strengths of its counterparts for other carriers. Samsung went for broke and packed the device with features that may lead to mass adoption of burgeoning technologies such as NFC. Looking at Sprint's current stable of LTE devices, there are few that can compete with the GS3. The EVO 4G LTE is about the only device that's in the same class as the GS3. Which one is better for you? I am afraid that will fall to your own brand preference. EVO fans should probably stick with the EVO 4G LTE, while those upgrading from the GS2 or original Epic 4G Touch might feel more comfortable sticking with Samsung. 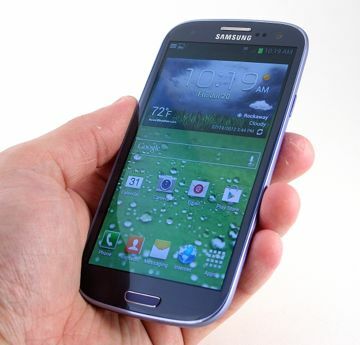 For Android fans, the Galaxy S III is pretty much the best option available. With support for Sprint's LTE network, it's hard to recommend any other device from Sprint's lineup.